A recent addition to my HTC One (M8) Android smart-phone is this little widget that displays the various volume settings. 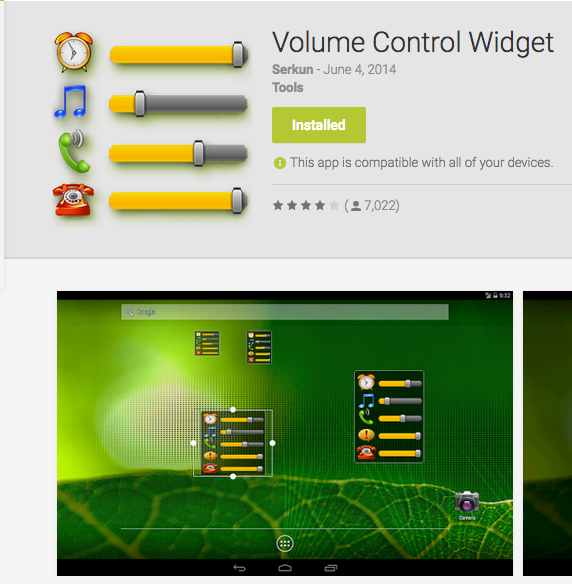 Tap the widget and it expands, making it easy to change any of the configured volumes. It's been very useful to check and set my alarm clock volume, which mysteriously gets muted from time to time.